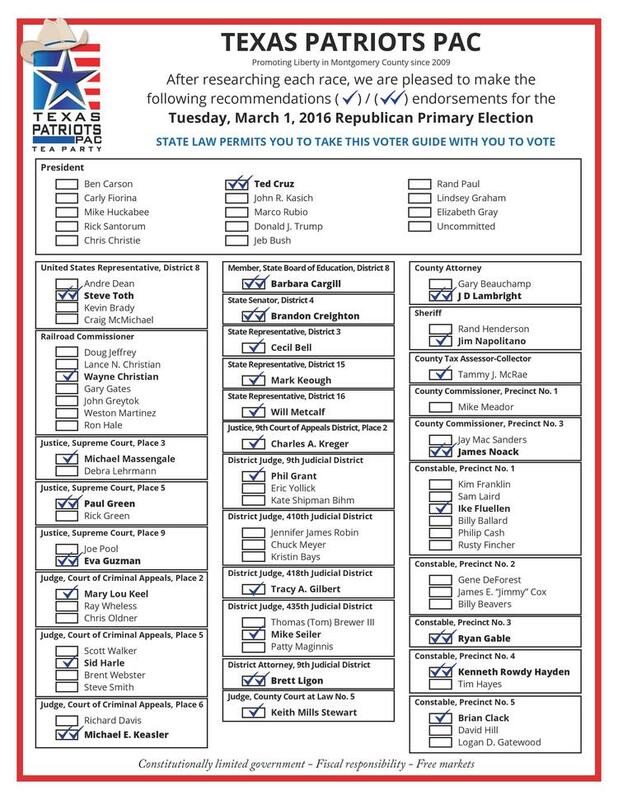 Since they call out the same votes as I did, I can do nothing but agree with them. 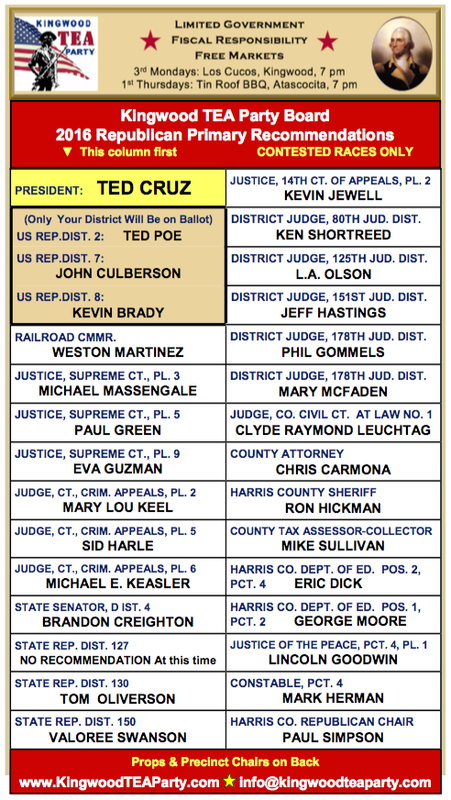 You should note that (as opposed to my recommendation for Col. Dean), this MC group endorses Steve Toth for the 18th. Since this group is in the 18th, this might be the more researched selection. 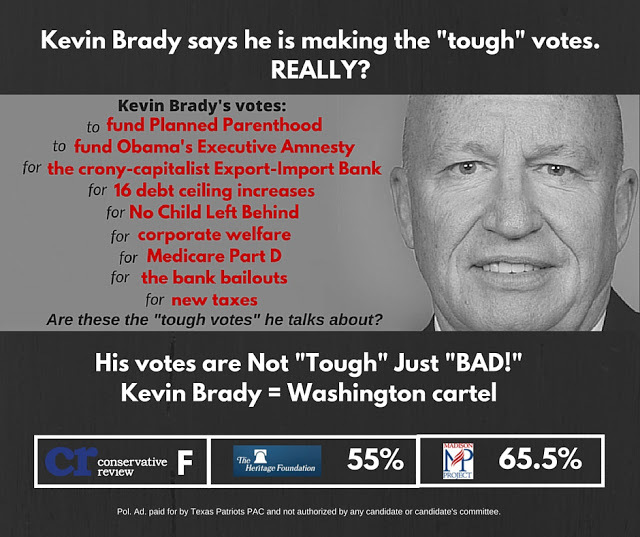 Previous Post Heritage Action Rates Kevin Brady an "F"